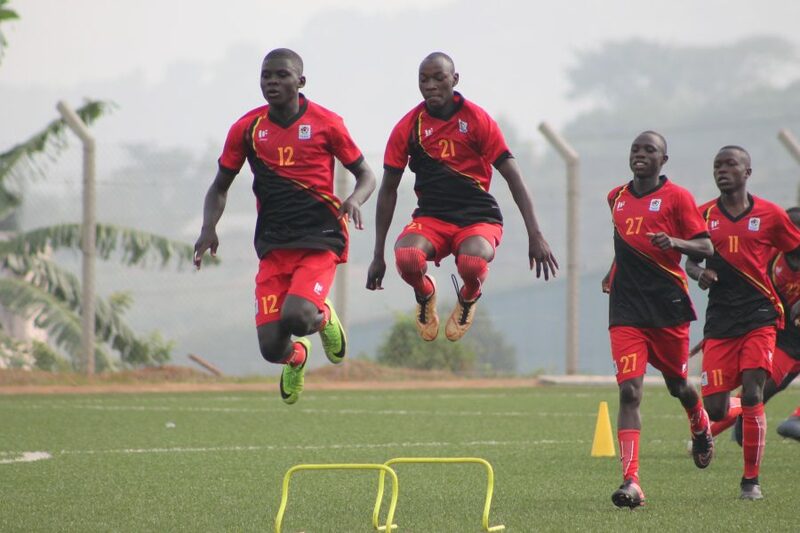 NJERU – The Uganda National U17 team, the Cubs have intensified preparations for their upcoming trip to Turkey. The Cubs who are currently undergoing residential training at FUFA Technical Center in Njeru, successfully completed their second day of training, holding two sessions. 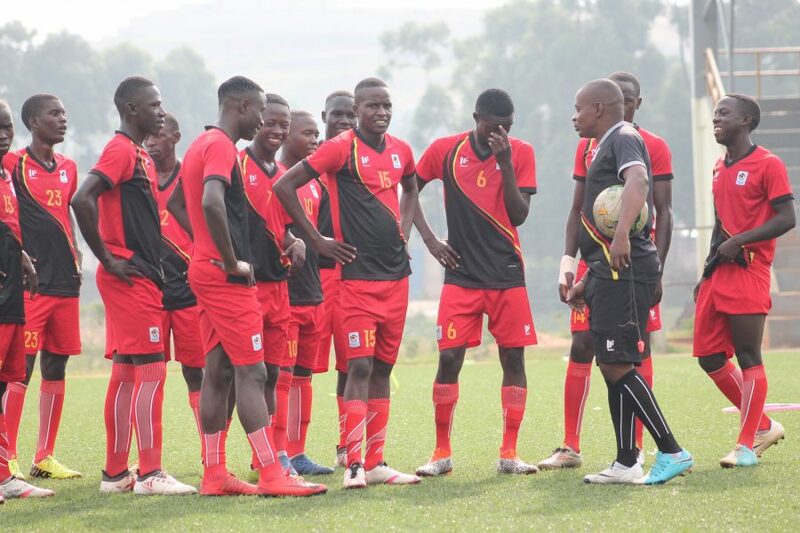 The trip to Turkey which comes later this month will see Jackson Magera’s side play a host of build up games as part of toning up for the U17 AFCON finals in Tanzania. According to Magera, the boys are responding well to the training and he hopes they will be ready for Turkey. “The boys are in good shape and responding well, said Magera. “We have no injuries and everything is fine. “We expect to improve in very many areas, technically in the next 10 days before we fly out to Europe. The squad of 30 is the one expected to continue building up for Africa’s U17 show piece. On Wednesday, they will have one training session at Jinja SS in the afternoon as the FUFA Technical Center will be in use with BUL FC hosting Sc Villa at 4:30pm in StarTimes Uganda Premier League. Uganda earned a ticket to AFCON after winning the Eastern Regional qualifiers last year. The AFCON Finals in Tanzania are slatted to take place from 14th-28th April. Oyo Delton (Kirinya Jinja SS FC), Jack Komaketch (Ndejje University FC), Ssemwogerere Daniel (Bright Stars FC) and Sinalya Ben (Express FC). Rest of the Squad: Kevin Ssekimbegga (Express FC), Ibrahim Juma (KCCA FC), Kasozi Samson (Bright Stars FC), Kizito Mugweri Gavin (Vipers SC), John Rogers (Onduparaka FC), Kiddawalime Saul (Super Cubs), Wasswanga Shafik (Ndejje University FC), Opira Innocent (Ndejje University), Ekellot Ibrahim (KCCA FC), Ssekajja Davis (Bright Stars FC), Ziraba Ronnie (Express FC), Kakaire Thomas (Bright Stars FC), Mwaka Polycarp (Kirinya Jinja SS FC), Opaala Edwine Mukisa (Kirinya Jinja SS FC), John Kokas Alou (URA FC), Mukisa Owen (BUL FC), Jarieko James (Paidha Black Angels FC), Asaba Ivan (Vipers SC), Surundu Ibrahim (KCCA FC), Najib Yiga (Vipers SC), Yasin Abdu Owane (Vipers SC), Mugulusi Isma (Kirinya Jinja SS FC), Lubega Derrick (Express FC), Mugisha Rogers (Mbarara City FC), Abdul Wahid Iddi (Onduparaka FC), Kakande Shafic (Bright Stars FC). Team officials: Magera Jackson (1st Assistant coach). Hamuza Lutalo (2nd Assistant coach). Omaria Bosco (Team Media Officer).